No matter what you do, there will come a time in your day-to-day life when you experience stress and anxiety. Luckily, we found six phone apps to help reduce your daily stress. Because the more tools you have in your toolkit to deal with your stress on the regular, the better. Sure, we all have our favorite non-phone-app forms of destressing, like soaking in some “bath tea” (yup, just as good as it sounds!) or squeezing some DIY anti-stress lavender putty. However, there are several phone apps right at your fingertips that can help you relieve stress, too. The best part? All have elements that are free, so you can try each one and see which work most for you! Here are six phone app resources that can help you combat your stress. Headspace is a meditation app that gets you to meditate in easy 10-minute increments. With the app’s “Take 10” introductory series, you get 10 sessions for free, and each session is 10 minutes long. You can buy more sessions after that, from $6.24 per month and up or keep reusing those same 10 indefinitely. Plus, the guy’s voice guiding the meditations is one of the most soothing ones we’ve ever heard! What’s Up uses Cognitive Behavioral Therapy (CBT) to help combat your anxiety, depression, and stress, to name a few. If you’re not familiar with CBT, it’s ahh-mazing and helps reprogram your brain (read: your behavior patterns) so you’ll stress less. 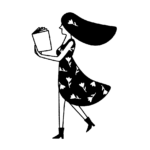 The app is full of fun features, like positive thoughts to help you curb negative ones, ways to overcome negative thinking patterns, and a positive and negative habit tracker. (Riiiight?!) You can also keep a diary via the app, so you can see how you’re doing, mental health-wise, along the way. The cost for it all? Free. 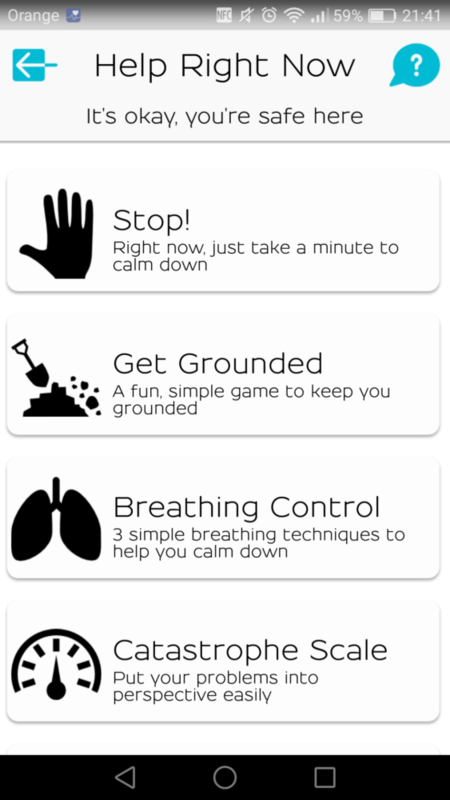 HelloMind is an app that helps you reduce stress and anxiety. For instance, perhaps you’re struggling with overcoming a phobia. Or maybe you need a self-esteem boost. The best news? You can try the app’s resources for free. You can get a “Booster” (to work on a certain aspect of yourself) or a “Quick Fix” (i.e., if you’re panicking about something). Otherwise, prices are $8.99 and up. Do you ever wish you could have a therapist in your pocket, so to speak? Well, with Talkspace, you can. The app connects you with a licensed therapist, and you can message them 24/7. If you’re not into texting therapy, you can also do audio or video sessions. However, there’s something about writing out your problems that is therapeutic in and of itself. Plans start at $32 a week. Cheaper than many in-person therapists! 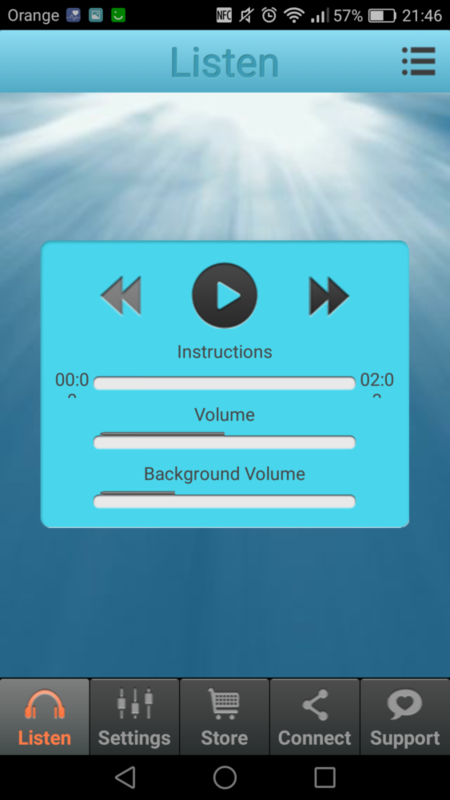 Yup, this app, Anxiety Free Hypnosis, focuses on hypnosis. Sidenote: If you haven’t tried hypnosis to help relieve your stress and anxiety, it’s a gamechanger. Once you get the gist of how the hypnosis works, you’ll be a pro in no time. You can download the app for free, and there’s a free introductory hypnosis you can listen to again and again. However, you can also choose from targeted sessions like “Attracting Success” or “Get Frick’in Motivated,” which each cost $3.99. Just as the name suggests, The Worry Box app will get you to worry a lot less. After all, worrying only adds to our stress. So now you can put your worries into The Worry Box. 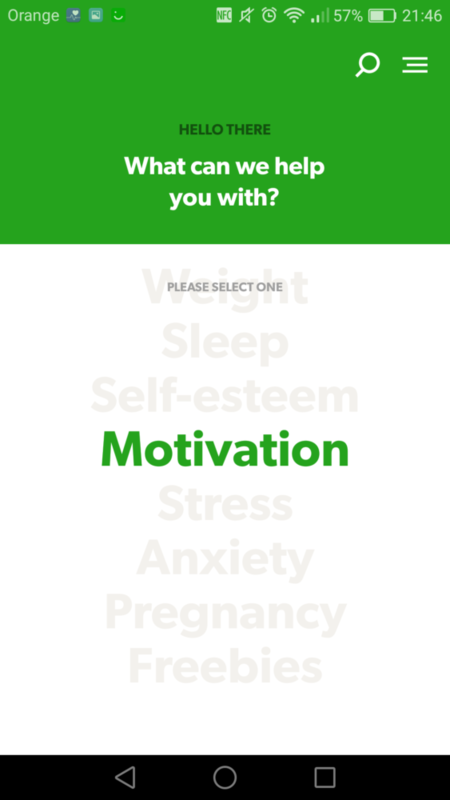 This app also uses CBT to get you to think about the way you approach things (i.e., by worrying). There are many different features. For instance, the diary feature lets you articulate your worry and list the steps you plan to take to eliminate it. If it’s something outside your control, the app will help by giving you coping statements to approach the worry in a different way. 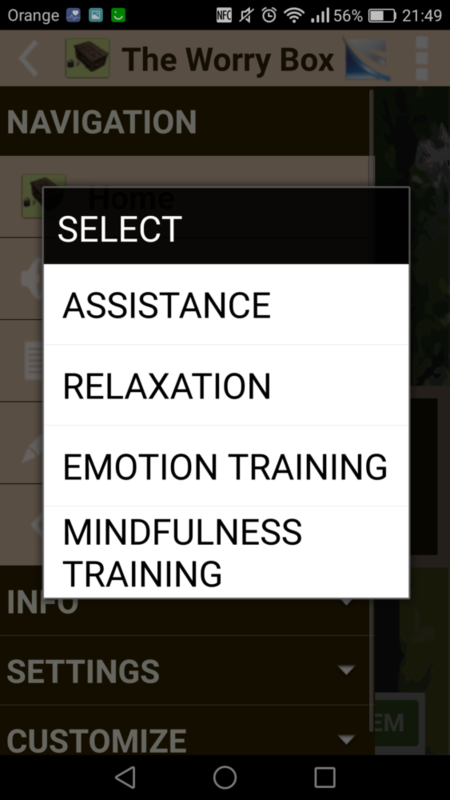 There’s also an audio feature, so you can be verbally coached on how to deal with your worries. Annnd, you can set a “Daily Reminder,” to make sure you actually use the app once you install it. The app is free, though if you get tired of its ads, you can pay $7.99 to get rid of them.